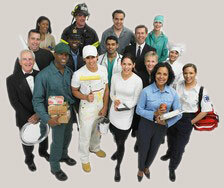 We have been hired by injured Alaskans from all walks of life. We have represented construction workers, fishermen, seamen, roughnecks, roustabouts, longshoremen, homesteaders, homemakers, cab drivers, railroad engineers, builders, pilots, miners, secretaries, businessmen, attorneys and other professionals. Over the years, we have learned that the best source of referrals is from former clients who recognize that we devoted maximum effort to their claim and obtained an excellent result for them. 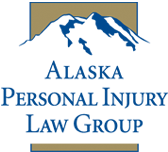 Because we provide each client with the highest quality legal representation, former clients, families, and friends have been referring individuals to the attorneys at the Alaska Personal Injury Law Group for three decades. Another source of referrals has been former jurors in cases we have tried. We also appreciate their vote of confidence in later seeking us out to represent them in their own legal matters. We also often receive referrals from other attorneys. Lawyers who do not specialize in personal injury law refer clients to us because of our trial experience, legal skills and financial resources. Even those attorneys who do handle personal injury cases refer cases to us, or associate with us, on large, difficult or challenging cases. Finally, we are often asked to associate with other counsel in major litigation involving complex liability or damages issues. We look forward to associating with other attorneys when our skills and experience can add value to a claim.